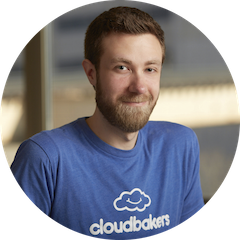 Working for Cloudbakers’ support, and specifically dealing with Google Apps, I get asked to help with a variety of issues. So in order to help the masses out there, I will share with you two of the most common (and interesting) issues, along with their solutions, that users run into. The biggest issue businesses run into is how to add a new user to existing shared files and folders in Google Drive. As hiring picks up in our country, this is a question that is being asked much more often. If you have files and folders in Google Drive shared with different Google Groups, then just adding a user to that Group will not give them access to those files and folders. Those files and folders need to be re-shared with those Groups again in order to give the new user access. The new user will then see this folder or file in the “Shared with Me” section of Google Drive and they can then add that to their Drive file structure. This can easily be done by highlighting the top most level folders that you want to give access to, hitting the ‘share’ button, and entering the name of the Group again. Then hit ‘done’. Once this is complete, the new user added to the Group will now have access to these files and folders. Helpful Hint: We recommend unchecking the box that says “Notify people via email” because all users (including those that already have access) will get this email update. This should avoid any confusion and eliminate unnecessary communication to your co-workers’ already busy inboxes. One of the quickest and most effective ways to personalize and increase your professionalism in an email is by adding a signature. It’s fast to setup and is automatically placed at the end of your messages. You can take your signature to the next level by adding an image, like your company logo, to that signature. 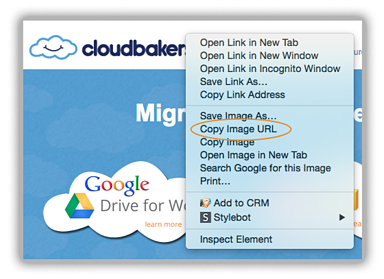 Because images are clickable, it allows recipients a direct path in which to visit your website or other landing pages. Adding an image to your signature is simple. You’ll need an image that’s available publicly on the web. For example, if you’re adding your company’s logo, you may be able to find the logo on your company’s website and right-click on the image to copy the URL (see below). However, if your image is not available on the web, you can upload it to a website, blog, or image hosting service. Some trusted options are Blogger or Google Sites. Click Insert Image above the signature text box. And enter the image URL. Once the image is where you want it, highlight the image, then click on the "link" button on the left of the insert image button. It should ask you for the web address you want to navigate to when the image is clicked. Enter the address and click “OK”. Make sure to click "Save Changes" at the bottom of the settings page. Last step: Continue sending emails with the confidence that your recipients can easily get to the content that represents you, whether that be your website, Linkedin page, or even an upcoming event that you’re hosting. Be creative, but make it simple. On the flip side, you don’t want to overwhelm your recipients with emails that have longer signatures than the main message itself. 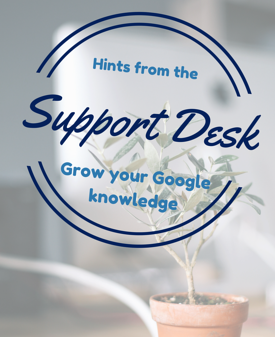 Hopefully these lessons from the Support desk can help you master Google Drive and bring an extra level of expertise to your outgoing emails. But back to the earlier issue of, “my computer screen is blank and it will not power on.” This was solved with the tech guys handy question of “Is it plugged in?”...It wasn't plugged in. Have a great day and stay tuned for more posts from the Support desk!